With these words, my brain was diverted to many other instructions that Hazrat Khalifatul Masihaa had given in the past. One such instruction was with regard to MTA programmes, when Huzooraa said that we should always bear in mind that the primary purpose of MTA shows should be the propagation of Islamic teachings. Huzooraa also explained that the Promised Messiah’sas teachings were in fact the true teachings of Islam, thus no matter what the nature of the programme was, the main goal should be to highlight Islamic teachings. We get to see many aspects of Hazrat Khalifatul Masih’saa love for the Promised Messiahas. Whenever, Huzooraa has given any tabarruk [relic] of the Promised Messiahas to the Ahmadiyya Archive and Research Centre for preservation and restoration, Huzooraa always follows up the instruction with a question: “Where will you store it?” When Huzooraa is informed about the storage location, he then guides us to document details of where it came from so that it may be recorded in history. When handwritten notes and letters of the Promised Messiahas are to be preserved, and the request for their conservation is submitted to Huzooraa, he carefully listens to the request and gives further guidance. When discussing costs, Huzooraa openly grants budgets for this purpose and creates all forms of ease. Once, I had the good fortune of discovering a very rare and precious writing of the Promised Messiahas in the British Library. This was the English rendering of Sitara-e-Qaisara that had been translated under the Promised Messiah’sas auspices and sent by him to leading figures in the British Government at the time. I was over the moon to have discovered it. I telephoned the private secretary and asked that my request be presented to Hazrat Amirul Momineenaa to meet him the very same day. Huzooraa graciously approved for me to meet him during the slot for evening mulaqats. The next few days were spent in searching for the cuttings. It should be mentioned that when Huzooraa said this during the mulaqat, at the time, there was no context of Dowie. But the more newspapers became available, the more I realised that there was great wisdom in that moment. What we usually considered to be the fulfilment of this prophecy was outshined by something far greater. From the Far East to the far west, i.e. the western parts of USA, newspapers covered the fulfilment of this prophecy. From the time when Hazrat Mirza Ghulam Ahmadas foretold Dowie’s end until Dowie’s death, many newspapers of the world took a keen interest in the updates of this prophecy, but when it was actually fulfilled, the attention increased manifold. By means of this prophecy, the Promised Messiahas and his Jamaat were given coverage throughout the world, and God’s promise, that “I shall cause thy message to reach the corners of the Earth” was practically fulfilled. In later years, these words would be fulfilled in new ways and they continue to be fulfilled today. From Tokyo to Vancouver, the manner in which the successor of the Promised Messiahas today has conveyed the message of Ahmadiyyat is unique in its own right. Huzoor’saa love for the Promised Messiahas becomes manifest in so many different ways. Once, Hazrat Khalifatul Masihaa mentioned a couplet from the Promised Messiah’sas qaseeda [Arabic poem] and enquired about something regarding it. It was a moment that reflected my ignorance and so I replied that I did not know. Huzooraa then picked out Qasaid-ul-Ahmadiyya – a book containing all the qaseedas of the Promised Messiahas – from the shelf to his left, flicked through the pages and flicked through them in a way that only after a turning a few pages did he find what he was searching for. Huzooraa read out the couplet and explained the deeper meaning to this humble servant. With that, Huzooraa turned to his set of Majmu‘a Ishtiharat (compilation of announcements by the Promised Messiahas) and pulled a volume out. Huzooraa read out an answer that the Promised Messiahas had given in response to the allegation the gentleman raised on Rah-e-Huda. Huzooraa read out roughly 3-4 pages worth of the Promised Messiah’sas own words. The fluency with which he read aloud not only reflected his fast-pace but also suggested the many times he has studied such books. Hazrat Amirul Momineenaa, on one occasion, said to me, “I have devised my own method of searching for extracts and references of the Promised Messiah’sas writings.” With that, Huzooraa showed me his copies of The Essence of Islam, the original Urdu of The Essence of Islam – Mirza Ghulam Ahmad Qadianias Apni Tehriron Ki Ru Sey – and Ruhani Khazain and how he benefits from the Promised Messiah’sas writings. These were but a few examples of how I have seen Hazrat Khalifatul Masihaa turn to the writings of the Promised Messiahas to solve every challenge. There are many more examples, but we witness the greatest in the form of his sermons, addresses and discussions. Huzooraa selects precious gems from a limitless and deep treasure and places them before us. This dates back to when the handwritten notes and letters of the Promised Messiahas were being preserved. I received a message from the private secretariat in the late afternoon that Huzooraa had called me. As I left the office, the realisation of what had happened kicked in. Huzooraa had, in his possession, preserved handwritten documents of the Promised Messiahas, but with the intention that there were now better ways of preservation, Huzooraa immediately instructed for them to be preserved. We were not able to experience the time of the Promised Messiahas. This is indeed something that saddens us. But this yearning should not let us forget that we are able to experience the time of his Khilafat. 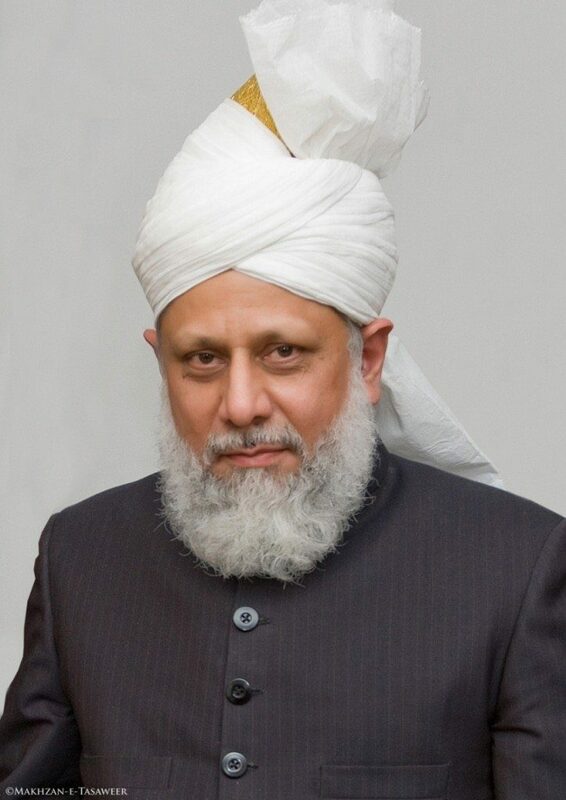 At present, we witness the blessed era of his fifth Khilafat. We have amongst us Hazrat Khalifatul Masih Vaa who has the most love for the Promised Messiahas. The safeguarding of relics is a metaphor of the painstaking efforts of Hazrat Khalifatul Masih Vaa to protect the message of the Promised Messiahas, the true Islam. During the fifth Khilafat, the noble sayings of the Promised Messiahas are being preserved through print, electronic and social media in such a way, the example of which has never before been witnessed. May Allah increase our love and devotion to Hazrat Amirul Momineenaa for this is the only way of increasing our love and devotion to the Promised Messiah, Hazrat Mirza Ghulam Ahmadas. Assalamualaikum, MasyaAllah Mubarak for this golden treasure article. Words cannot decribe it. This is the greatest miracle of Allah enabling His chosen servant to become an Ahmadi unlike the rest of the world where people are confused and lost. Now this servant of Islam needs mercy from Allah to share this beautiful message as I have close relatives disconnected from Jamaat.